As Director of Home and Beauty, Annalise Fard is in charge of the Home, Furniture, Toys, Technology and Beauty departments at Harrods. Along with her team she works to elevate the store’s position in these categories and ensure they host a world-class luxury offering of products, brands and service. Annalise first began her Harrods career in 1997, when she joined the business as a Senior Buyer’s Clerk for Furniture. She stayed at Harrods until 2002, during which time she was Buyer for the Beauty Apothecary for 3 years, before joining American spa brand, Bliss. 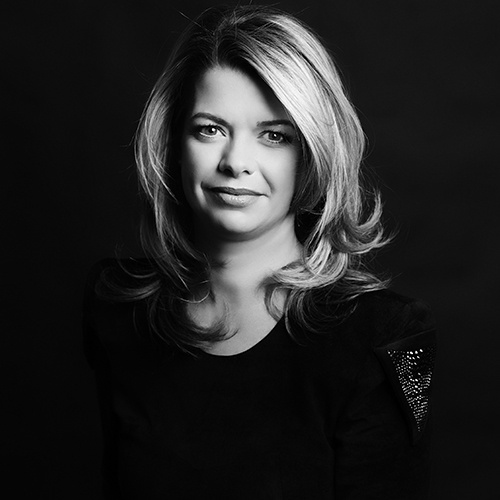 During her five years at Bliss, Annalise oversaw a growth of the company by 500% and gained vast international experience, with her time divided between London and New York. In 2007, Annalise accepted an invitation to return to Harrods as General Merchandising Manager for Beauty, heading up the areas of Perfumery & Cosmetics, Beauty Apothecary and the Urban Retreat salon and spa. During this time, she also held the positions of GMM for both Fine Jewellery, Childrenswear and Harrods of London, providing unparalleled experience across a number of areas. Following a promotion to Director of Home in 2013, Annalise has now additionally reassumed responsibility for the Beauty division. Annalise has also held the role of Chairman, Fragrance Foundation (a non-profit organisation supporting the awareness and growth of the UK fragrance industry) since 2014. Further to her personal career success, Annalise is respected by all for her exceptional ability to predict a bestseller, business acumen, creativity and dynamism she is also widely known for her positivity, charisma and flair for nurturing new talent. Why are you involved in the Fragrance Foundation? Fragrance has played a very significant role in my life for twenty years and ultimately I’m extremely passionate about this wonderful and very dynamic industry. Working so closely with the Fragrance Foundation has opened my eyes up to so many opportunities. Personally experiencing many of the learning channels the Foundation offers, has taught me to smell and therefore retail fragrances in a totally different way. Meeting new charities and understanding the emotional effects ‘scent memories’ has driven a desire to impact lives in a different way. Working so closely with many more industry experts has further motivated me to highlight the important work all of our members do on a daily basis. I simply love Fragrance for it’s pure ability to evoke visuals, feelings and thoughts anywhere in the world.